One of the biggest mistakes first timers at FinCon make is not taking full advantage of everything going on. But that’s understandable because as a first timer, there are a lot of things you just don’t know about or don’t know what they are when you see them on the schedule. That’s what we’re going to cover here. We want you to be totally prepared to squeeze as much out of #FinCon17 as possible. Start looking at the schedule now. You can find it here or in the FinCon17 app. You can use the FinCon17 app to star specific sessions that you want to attend and it will send you reminders when time gets close. But most importantly, get familiar with the schedule now and look at the things you absolutely do not want to miss. And to help you out here are 6 things that you may not know much about. A lot of people don’t even know this exists their first year because they’re so caught up in all of the amazing sessions. But if you’re a freelancer, you must go to this! 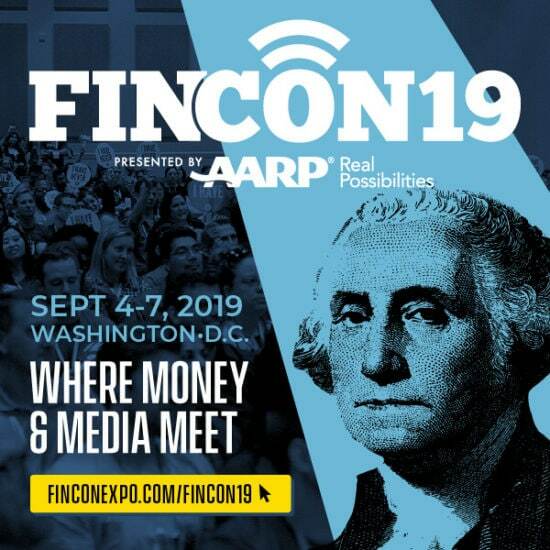 Every year, FinCon brings some of the best companies in the finance space to meet you. Whether you’re a writer, editor, web designer, video producer, SEO specialist or another type of freelancer, there are companies here looking for your help. So bring some business cards, get your pitch ready, and start making connections on Friday, Oct. 27th at 12:30 pm. When it’s your first FinCon the Expo Hall can be a bit overwhelming. It’s hard to understand what’s going on because there are so many people and so much happening. For a large part of the day on both Thursday and Friday, the Expo Hall is the hub for all things at FinCon. We’ll have the innovation center and solutions center stages in there. We’ll also have a lounge area for you to relax. And of course, all of our sponsors will be there. Every year we bring the best sponsors who can really bring value to you and your audience. Be sure to walk around to all of the tables and ask lots of questions about what that company does. You just might find your next big partnership or opportunity to build an affiliate relationship! Again, this is something a lot of first-timers don’t know about. So many of our best community leaders freely give their time to help newer people. Simply fill out this form and we’ll set you up with a mentor who can help you out! The One-on-One mentoring takes place on Saturday, Oct. 28 at 3:30 pm. We do it this way because you’ll be able to discuss all that you’ve learned at FinCon up to that point and put yourself in the best position to get some personalized advice. A lot of people have never been to an Ignite session before, and let me tell you, they are awesome! But it’s more than just funny mistakes. Ignite is a time where people educate, entertain, and get to relax in a fun environment with the FinCon crowd. You definitely want to make it to this event on Friday night, Oct. 27 at 7:00 pm. A lot of the parties that happen at FinCon require a RSVP, so you definitely want to make sure you do this ahead of time. Don’t miss out on these. They are literally the backbone of relationship building at FinCon. This is our official opening party you don’t want to miss on Thursday, October 26th at 7 PM at The Rustic, located at 3656 Howell St, Dallas, TX 75204. That’s right, FinCon’s last night is the weekend before Halloween! So that means costume party! We’ll get together for drinks and dancing to properly close out the conference. Best costume will get a free pass to #FinCon18. So don’t miss out on Saturday, Oct. 28 at 9:00 pm. FinCon is a push and pull. To get the most out of it, you’ll want to attend as much as you can. But in order to build the best relationships, we don’t want you sacrificing good conversation to make it to the next session. All of the sessions at FinCon17 are recorded and are available for free to attendees after the conference. If you’re in the middle of a good conversation with someone, hang in there and don’t fret about missing something you can watch later.